Torbay Sailing Club is very pleased to report that the implementation of ClubHub to both the Clubs administration and the Sir Peter Blake Regatta Administration has proved to be a success. As a club reliant on volunteers to achieve everything - the underlying principle of moving the registration and admin process online and in particular into the hands of those doing the registering has got to be a winner for everyone concerned. This year as our first year we experienced some initial teething problems (as does everyone using new software) but the overall benefit we believed outweighed those niggles and when we did ask the ClubHub Support Team quickly outlined what we could and could not achieve. We look forward to working with the ClubHub team to finetune this product for the sailing community - as to my mind as familiarity becomes greater amongst all users we will wonder why we ever did anything manually. 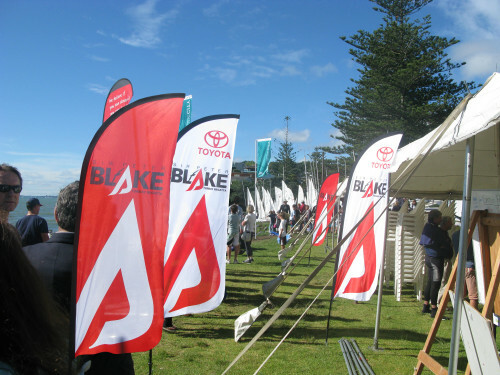 The Sir Peter Blake Regatta is an event that pushes the boundaries of what can be achieved by a small club in both its planning and execution, and 2009 was no exception. The event attracted 417 sailors in DECEMBER 2009 which is one of the highest numbers ever recorded. Of those sailors approx 300 preregistered via ClubHub before we closed-off online registrations giving the organising team a complete report of expected numbers – fleet sizes and merchandise requirements before the regatta started. 2009 was the first year we have sold Official Regatta merchandise and in this area alone ClubHub proved its worth as we trialled this more sophisticated marketing approach. One week out from the event we had an automated report giving all presales of shirts and the appropriate sizes required. This allowed us to place an exact order for screen printing without fear of who would buy what on the day. This is an area that I look forward to helping develop further as the needs of the regatta, and its participants grows. 2009 saw 417 sailors divided into 19 fleets, racing over two days. With multiple registration possibilities for single handed, double handed and also family discounts it is an awful lot of information to keep track off and I believe we had a good crack at streamlining this process. Once set up the ClubHub system clearly identifies who is registered for what fleet, who has paid, and who has ordered any additional items. We used this information for exporting to: Sail-Wave Race management software, excel spreadsheets for sign on sign off sheets and also merchandise ordering and collection forms. I believe the ClubHub system can only get better with more sailing participants, and therefore have no hesitation in recommending it to others. The issues we experienced were often due to historical issues relating to winter sporting code requirements that could be written out in a more customised version for sailing. I look forward to 2010 and combining with other clubs to achieve this goal. Whilst not perfect, we felt ClubHub offers real value for money and the stated goal of reducing admin time is easily achieved.